Pokémon Go has had its fair share of events featuring varied Pokémon, the most notable so far being the few shinies that are in the game, and all the different hat forms of the Pikachu line. So, with this being said, what are some other alternate version or modified Pokémon from the core games and/or anime that could be used as events for Pokémon Go? Well we have a few in mind! Please note that none of these have been hinted at by Niantic nor are they all definitely going to happen, but it is interesting to look at all the different options we have besides putting different hats on Pikachu and its family line. Although, having a Detective Pikachu event in the near future in honor of the reboot of the game would be acceptable. This is a long article, but feel free to glance over the topics, whatever is written beside them explains what they are more in-depth if you have never seen these variations before! If more common shinies were unlocked such as the starter Pokémon for the generations released so far, or some of the more common spawns around the world such as Pidgey, it would make shiny hunting in this game a lot more fun.Most of these shinies were released during events, such as the ghosts during Halloween and the ice types during the Christmas event. Similarly, Absol and Mawile are only obtainable as raid bosses. The Magikarp, Aron and Pikachu lines are a bit more common depending on the biomes you fall under, but still not the easiest. It also does not make sense that Pikachu was shiny locked during the recent Halloween event when it had boosted rates and a witch hat. The boosted rates were perfect for shiny hunting- and yet it could not be done. Eevee would be a brilliant release in the near future, as it has five evolutions within the first three generations, plus two added in the upcoming gen 4, and one more in the distant gen 6. It would make hunting for several of them very much worth it. Our hopes are that all the shinies will eventually be available in game, but until they are we can hope for more releases little by little. We do not want every single shiny Pokémon to meet the same fate as shiny Pikachu, with it’s boosted shiny rates during Community Day, but we would like more shinies overall. Just as it sounds, spiky eared Pichu is a Pichu with three spikes on its left ear. It appeared in the anime in the movie Arceus and the Jewel of Life, the manga Pokémon Adventures and in the manga adaptation of the previously stated movie. It was also distributed in the HeartGold and SoulSilver games if triggered by an event in Ilex Forest. It was always female and could never be shiny due to the way its Personality Value was coded, and could not be traded outside of HeartGold and SoulSilver. It also could not evolve, so in Pokémon Go it is likely that it would be unable to evolve as well. This Pokémon is not the farthest stretch from the Pikachus with hats, but it could still be a cute novelty and a throwback to the HGSS games and the movie. This would be an amazing Pokémon to have added into the game. The Squirtle Squad is a group of Squirtles who were abandoned by their trainers, and they wear round sunglasses to make them more recognizable. The leader of the squad wears special pointed sunglasses. They first appeared in the episode of the anime Here Comes the Squirtle Squad! and were a group of thieves and troublemakers in Kanto. The main character of the anime, Ash, eventually caught the lead Squirtle and it joined his team. Almost all longtime fans of the anime can recognize the Squirtle squad on sight. This would be a really cool event, and it has nothing to do with Pikachu at all. Throw some glasses on Squirtle and up the spawns rate, it will make a bunch of long time anime fans very happy! It would be traditional to have the Squirtle not evolve, as Ash’s Squirtle never evolved into Blastoise, but a Blastoise with the Squirtle Squad leader glasses would be absolutely fantastic in the game anyway. The Crystal Onix has only appeared once in the anime, and never in any of the games, in the episode of the anime appropriately titled The Crystal Onix. This Onix has an almost glass-like appearance with a shiny, blue tinted body. It lives in the water, as its crystal body gives it a resistance to the water, and seems to have a weakness to fire that normal Onix do not have. It is unknown whether this Onix has a different typing, nor what typing it would be. It makes sense that it would have steel or ice in its typing, due to its appearance and its weakness to fire, and neither steel or ice are technically weak to water so it would be able to live perfectly fine in the water. That would be something that would have to be dealt with in the game, as the Crystal Onix has never appeared in any of the core series games or other spinoffs. It could have a changed appearance and not tamper with the typing of it of it, leaving it a rock and ground type. It would also make sense that, like the spiky eared Pichu, this Pokémon would not evolve. There is no Crystal Steelix, but if they wanted to try and create one, that might be interesting. This Pokémon could be released with a boosted rate of wild Onix and either have the same rate of being a Crystal Onix as it would to be a shiny Onix, or just make all the appearing Onix for the time of the event appear as Crystal Onix, as they do with hat Pikachus. The latter would be better as it is likely Crystal Onix would go away after the event period, unlike shinies so making it so rare could be unfair. Now this next category is a bit of a stretch for an event in Pokémon Go, but it should be included anyway as it is an anime variation of Pokémon. We have some good ideas for it too! In the anime episode In the Pink, Ash and friends travel to the Pinkan Island of the Orange Archipelago. The Pokémon that appear on this island, however, are strangely pink! Any Pokémon that eats too many Pinkan Berries will turn permanently pink, as explained by Officer Jenny. These types of Pokémon never appeared in the games. Overall, this gives a few Pokémon a variation that is not shiny, and a lot of common Pokémon something different, such as Pidgey and Rattata. They could also choose to do this with every Pokémon in the game for a limited time, but it makes sense to only do this for the Pokémon that are shown in the anime as pink. The other thing they could do as an alternative is release “Pinkan Berries” for a limited time that can be given to Pokémon to turn them pink if you feed them enough, maybe ten berries. Would Pokémon Go be overrun by pink Pokémon this way? Perhaps, which is why it would make sense to only have it available for the above Pokémon that appeared in the anime and not available for every Pokémon. There would have to be a berry to turn the Pokémon back to normal, or at least a warning message “If you turn this Pokémon Pink it cannot be turned back, do you want to proceed?”. This would be a great way to tie in the pink Butterfree from the anime episode Bye, Bye Butterfree. 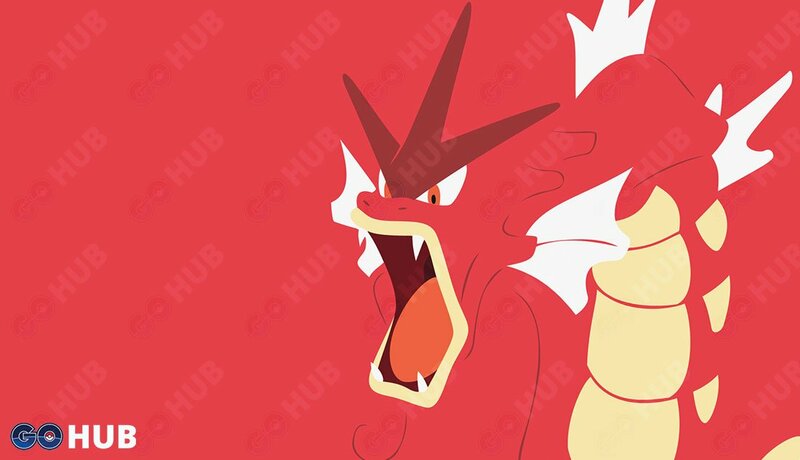 That is a very recognizable Pokémon for long time anime fans, despite how sad the sight may make them, and we would not be disappointed if they released only that Pokémon for the event. Also, this would make for a great Valentine’s Day event! Contrary to what many fans may think, shiny Kecleon is not purple! Kecleon is a gen 3 Pokémon that has not been released yet, but it is only a matter of time until it is! Its shiny is not purple, but instead the red stripe around its body turns blue. Purple Kecleon is shown in a few of the Pokémon Mystery Dungeon games as a shopkeeper with his brother, who is regular colored Kecleon. Purple Kecleon also appeared in the anime in the episode The Kecleon Caper. It has never appeared in the games, leaving fans wondering why this Pokémon is purple? And why is it not Kecleon’s shiny? This could make for a good event when Kecleon is released in the future! And at last, that is all we have for anime and game variations of Pokémon that would make for good events. Some of these make for better ideas than others- but variation would be good for the game! What do you think? Would you like one of these for an event in Pokémon Go? Can you think of other events that would be good? With the recent Surfing Pikachu being released for the new Community Day events, seems like Niantic is coming up with a few new ideas for cool things to do, so do not count these out too fast! We look forward to seeing what happens with Pokémon Go events in the future.